Image courtesy of Good luck trying to get a warranty repair out of these guys. Good luck trying to get a warranty repair out of these guys. 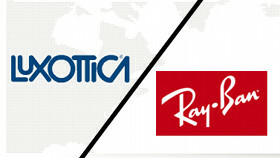 Luxottica may be the world’s largest eyeglass manufacturer and the owner of brands like Ray-Ban and Oakley, along with retail chains like LensCrafter, Sunglass Hut, and Pearle Vision. But you’d probably get better customer service from the guy on the corner selling knock-offs for $5. Consumerist reader Chris (not me, I swear) says he had only had his new Ray-Bans about seven months when the frame suddenly broke while he went to put his glasses on. Since the damage wasn’t due to any abuse on his part, he thought he’d just get them repaired under warranty and he’d have a working pair back in no-time flat. That was the last time anyone from Luxottica contacted him. Since then, he’s made repeated attempts to call the company, never with good results. It’s not even that Chris is being told news he doesn’t want to hear. He simply can’t get anyone on the phone. Two later attempts to contact Luxottica also resulted in 10-15 minute holds that turned into hang-ups without ever having his issue addressed. He finally did get a hold of someone, only to be told that he’d be required to pay 50% of the retail cost to have his glasses replaced. Chris requested that his issue be escalated, but has never heard back from anyone at Luxottica about that request. Now that Luxottica has had his glasses for a full two months, Chris has written the company and made several further attempts to reach warranty repair by phone. Just today, he says he’s wasted a total of two hours on hold without ever speaking to a human. Chris’ complaints echo that of this reader from 2010. It looks like Luxottica hasn’t gotten any better at customer service in the years since. We’ll be sending Chris’ story to Luxottica’s media contacts, but we expect we’ll get about as timely a response as he has with his warranty repair. you get a deal and you get a deal and you get a deal! If The Deal Never Ends, Is It Really A Deal? Next What Information Can Retailers Store When They Scan Your ID For Returns? Next Up: What Information Can Retailers Store When They Scan Your ID For Returns?